Not so long ago trend watcher Li Edelkoort predicted that people will create their own ‘museum houses’. We will more and more start living among all kind of collections. This way we can show our identity and our uniqueness. Our collections, of for instance vintage glass and ceramics, can make our house and ourselves stand out of the crowd. In stead of mass production, we want unique and handmade objects! 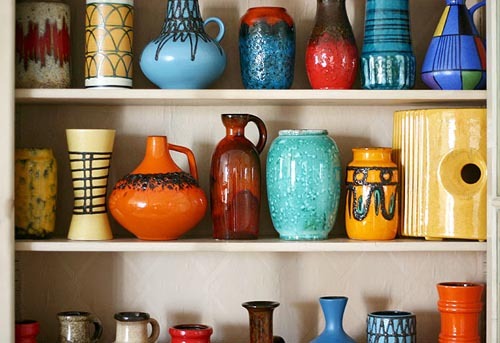 I especially love vase & pottery collections. Unfortunately I haven’t got enough space to display my large vase collection and therefore I am saying farewell to part of my collection. 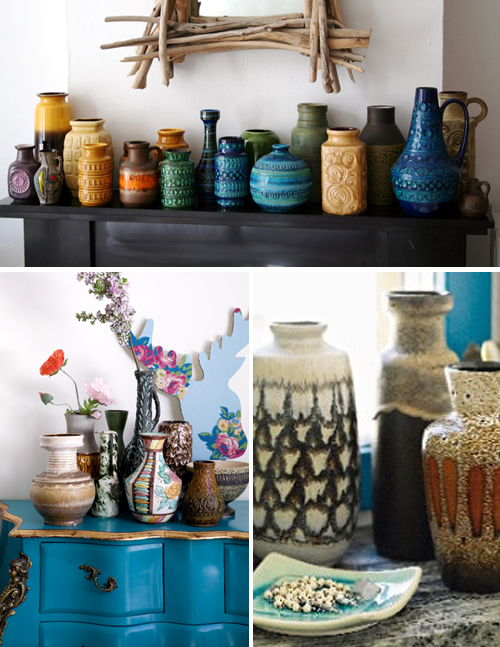 In the top image above you can see most of the vintage vases that I am selling on Ebay. Click here to see all items that I have for sale on Ebay. I love the vases but particularly like the blue cabinet. In fact, I am a Brazilian fan of your blog too!